Private fully self-contained family holiday villas set in peaceful surroundings. Dolphin Sands is the perfect place from which to explore all the attractions Coffs Harbour has to offer, or just to relax and enjoy yourself. 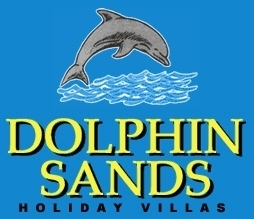 We would love to have you stay with us at Dolphin Sands Holiday Villas. 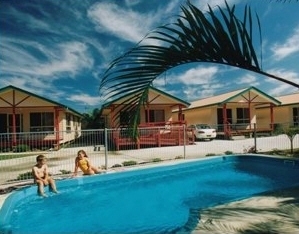 Dolphin Sands is situated 100m from Coffs Harbours main beach. In flat strolling distance to Park Beach Bowling Club, Pub, Restaurants, shopping centre and great fishing spots. Dolphin Sands is the perfect place from which to explore the many attractions Coffs Harbour has to offer, or just to relax and enjoy yourself around the pool & spa. The luxury villas are air-conditioned fully self-contained all have 2 bedrooms with lounge, kitchen, dining, and bathroom and with parking next to your villa. Reverse Cycle Air-conditioning & Fans. We have a villa with Disabled facilities. Queen beds in main 2 singles in 2nd bedroom. Remote Control TV. Free Linen.Free Laundry with washing machine. The luxury villa is fully self-contained, air-conditioned, all have 2 bedrooms with lounge, kitchen, dining, and bathroom and with parking next to your villa. Schoolies ID must be provided. This special is for upto 4 people 7 nights with extra $40 per person per night. Please advise your arrival time on the booking form & phone us 1 hour before arrival so we can me you at Dolphin Sands. The phone number will be on your confirmation email. If cancelled more than 25 days before arrival date, deposit will be refunded less a $50 fee. If cancelled less than 25 days before arrival date, deposit will be forfeited. In holiday seasons if cancelled over 90 days deposit will be refunded less a $50 booking fee. If between 60 - 90 days 50% of deposit refunded. If cancelled under 60 days no refund of deposit. Car Parking is Free & off street right next to your Villa. When arriving from north (Brisbane) turn left at 1st set of traffic lights which is into Park Beach road you will see McDonalds on your right KFC on the left. Drive through the 1st roundabout & turn right at the 2nd roundabout into North Hogbin Drive. Turn left at the next roundabout into Prince St Dolphin Sands is number 16 1st one on your left. When travelling from south (Sydney) turn right at the set of traffic lights on the north side of Coffs after the railway bridge which looks like little Sydney Harbour Bridge. Then you will see McDonalds on your right KFC on the left. Drive through the 1st roundabout & turn right at the 2nd roundabout into North Hogbin Drive. Turn left at the next roundabout into Prince St Dolphin Sands is number 16 - 1st one on your left. Whale watching in season June to November, Dolphin watching all year round,D eep sea fishing, snorkelling, scuba diving, Scenic & historical tours of Coffs Harbour & Dorrigo rainforests, the Pet Porpoise Pool is great for the young ones & the young at heart. Local Attractions Big Banana, Clog Barn, Mount Ash Pottery, Cinemas, Butterfly House, Bunker Cartoon Gallery, Local Markets, Ten pin Bowling, Squash Centre, Wineries and we are only 100m from the Park Beach Bowling Club and across the road from beautiful Park Beach.